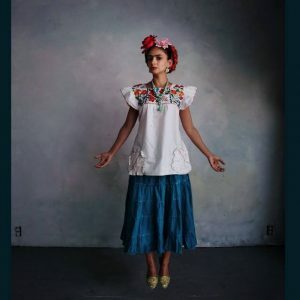 When Irene Delgado was diagnosed Guillain Barré, channeling the Mexican feminist icon helped her recover, and get back on stage. It was a fitting gesture. 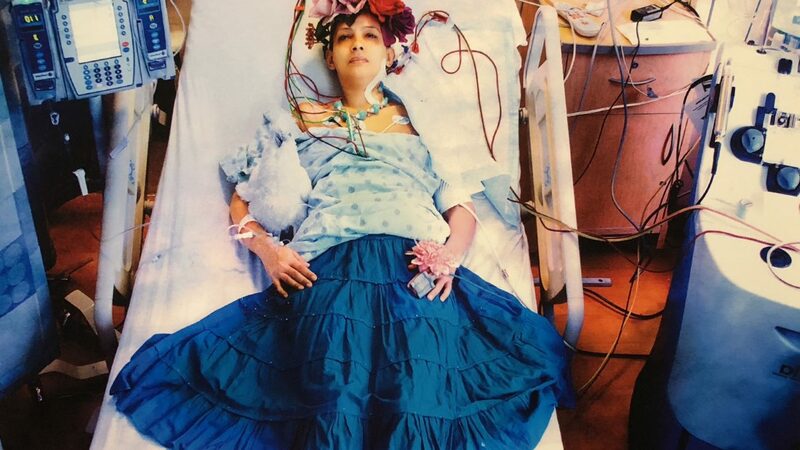 Like Frida, Irene had suffered debilitating pain, undergone intensive tests and diagnosis: X-rays and spinal taps, blood transfusions and physical therapy, after six weeks in the hospital. Irene has soulful eyes, a shaved head, tan skin and a free, infectious laugh. She’s 48, but it’d be hard to guess her age, and harder to tell that beneath her small frame is a whole lot of fortitude. Irene was born and mostly raised in the Bronx to Puerto Rican parents. For the past 20 years, New York City had been her home, while she worked as a burlesque performer and costume designer and stylist and other odd and end jobs. 48-year-old NYC burlesque performer Irene Delgado. One early morning in November 2016, she woke up with a strange, pulsating sensation going down her legs. The painful sensation continued through the day. As she sat, cutting fabric, she felt her muscles spasming. When she attempted to relax, later, the sensation returned: a shock of numbness and electricity, pins and needles. Not only was it going down her legs and feet, but it had started moving into her arms. “I freaked out,” Irene said. On her first visit to the emergency room at her local hospital, she waited for five hours, in so much pain that she couldn’t think. When she stayed in any position for too long, she started to cry. Her legs were jerking, out of her control. “I didn’t know what was going on. If I had experienced something like this before, then I could pinpoint it.” But the pain was completely foreign, and the doctors gave her few answers. They sent her home with an anti-inflammatory shot, and blamed the pain on anxiety. She returned to the hospital three more times over the next two weeks. Each time, she left without a diagnosis. In the meantime, the pain escalated. She was so weak that she could hardly eat. She started losing the ability to use her hands. When Irene had to finish a costume for a client, she asked a friend for help, and directed on exactly what to do. For a short while, she grew hopeful that the pain had plateaued. But when it returned, it started to fire up her lower back. She couldn’t sit down and limped when she walked. Finally, a friend who worked as a ER doctor drove her to NYU Langone to find answers. When she went into the ER that day, her heart rate was 138 rpm, beating so rapidly that she was gasping to breathe. It wasn’t her anxiety that was causing her suffering: something was going on inside her body. She stayed at the hospital for the next six weeks. Every day, there were a series of tests and attempts at diagnosis. Three vials of blood drawn every day, MRIs and CT scans, X-Rays, procedures that Irene had rarely experienced before. “There was a piece of me going everywhere, all over the United States,” Irene says, laughing. Doctors speculated that she might have had Multiple Sclerosis, and she tested positively for Lyme disease. Then they noticed the excessive proteins she had in her spinal fluid. After a spinal tap, they told her that she likely had a version of Guillain Barré Syndrome, a rare autoimmune condition in which her body viewed the proteins in her spinal fluid as foreign invaders and started to attack itself, damaging her peripheral nervous system. For treatment, she underwent five days of plasmapheresis. The doctors hooked up a PICC line from her neck to her heart. The line filtered out her blood and replaced it with fresh plasma. 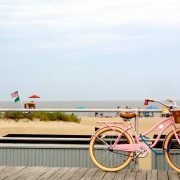 Irene didn’t know what the illness meant for her future, but she and her partner, photographer Adrian Buckmaster, tried to make the best of the stay. 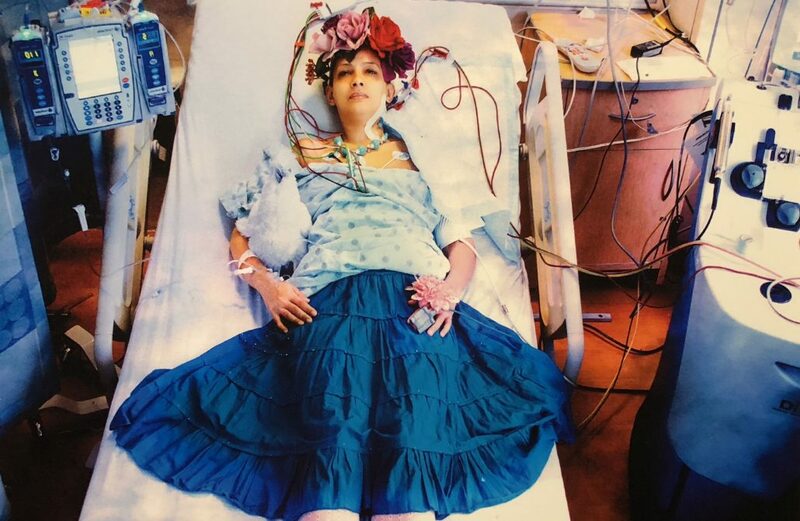 Buckmeister recreated the iconic photo of Frida Kahlo in her hospital bed with Irene’s costume. They befriended the nurses and attendants, and spent a happy Christmas in the hospital, when a steady stream of visitors brought food and coquito liquor from “ten in the morning until ten in the evening.” Irene’s friends created a GoFundMe, and in three days, it raised enough money for Irene to pay her rent until June. In the next three weeks, Irene slowly relearned to use her limbs. “I felt like I was a newly born baby.” Not only had the illness disrupted her nerves, but the extended bed-rest shortened her muscles. “When I left, I couldn’t walk properly, couldn’t think, I was taking nine different medicines, I was very emotional.” It was hard to explain what she’d gone through, hard to explain the intensity of her experience. After getting sick, Delgado turned to Frida Kahlo for inspiration. Over a year since the illness hit, Irene is still numb from her knees down to her feet — “if I were to scratch my leg, I can’t feel it.” The worst of illness has passed, but Irene thinks she’ll live with the residual numbness for the rest of her life. Irene is still sewing gowns and coats, and performing on stage. The illness has changed her life in one major way: it helped her start a new business, a line of scented creams and lotions and body oils and bath salts, scented and lovely and infused with transdermal magnesium, which she discovered while fanatically looking for ways to reduce pain.